Not formally assessed as part of the honours project, but nonetheless an important aspect of my explorations of the site. Walking tours were run by invitation, with small groups. 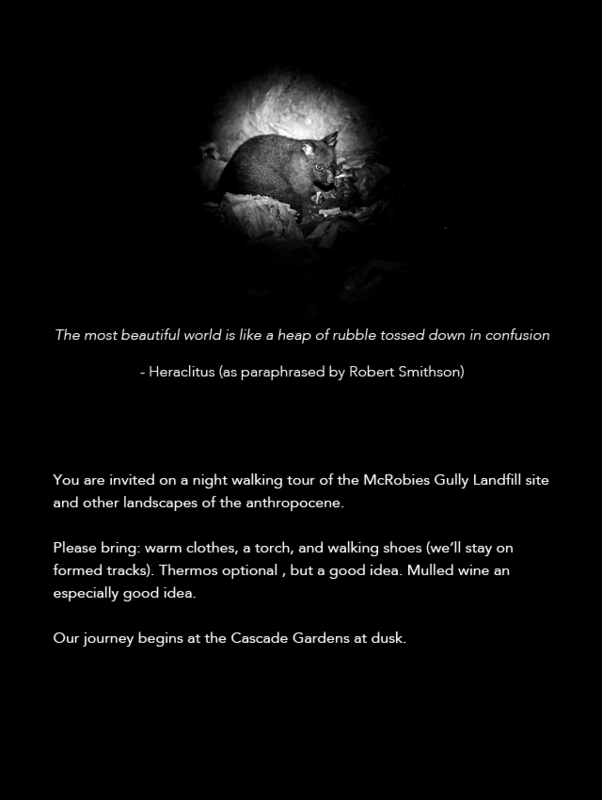 The tour began at Cascade Gardens to possible platypus viewing, before moving over the hill and onto the tip. Commentary on the history of the site and discussion of issues related to environmental change and the adaptation of non-human animals to heavily modified spaces was interrupted by the viewing of brushtail possums, wallabies, and cats on the tip site.